Sony has issued a software fix to prevent a recent batch of Vaio laptops from overheating. Over 500,000 new laptops could be affected by the problem, in what could well turn out to be a PR disaster for the consumer electronics giant. Models affected by the issue are the VPCCW25FG/B, VPCCW25FG/P and VPCCW25FG/W. Back in 2006, Sony was forced to recall 9.6 million laptop batteries due to overheating problems, which cost the company a total of $250 million. However, while numerous media outlets have been reporting this current problem as a 'recall', this issue has not yet reached that critical stage for the laptop manufacturer, with Sony vehemently denied reports that these new VAIO F11 and CW2 Series machines would need to be recalled and issuing a software update online. The overheating is caused by a bug in the basic input output system (BIOS) software which is embedded in the chips inside the laptop, but upgradeable by this type of software fix. Sony clearly hopes that its latest free software update to more than half a million of its customers worldwide should do enough to fix the overheating issue with the new laptops. 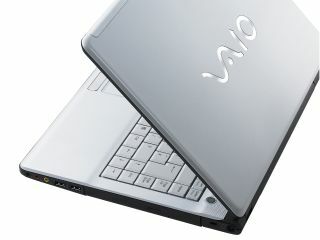 The company had received 39 problem reports from users complaining about excessive heat coming from their Vaio computers and problems with the casing being distorted due to overheating. 26 of those complaints came from US users. Sony has identified that the problem occurs when the laptop is nearly out of power and the user plugs in the battery charger. The company has notified registered Vaio users of the software fix issued this week.